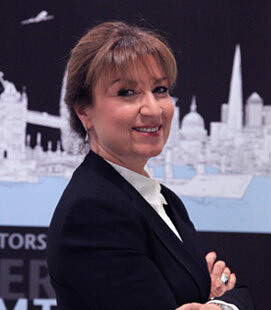 Maryam Taher is the firm's founding partner. She has over twenty years' experience in the shipping industry having previously worked at Clyde & Co, Hill Dickinson, W K Webster as in-house legal counsel, and also at a P&I Club before setting up her own practice in 2004. 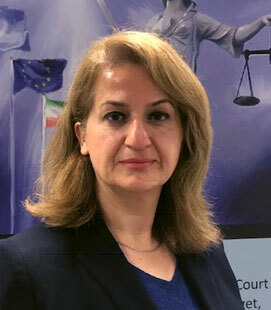 Maryam has handled a variety of work, from non-contentious advice, to arbitrations relating to demurrage and detention, to sole conduct of large scale multi-jurisdictional disputes, and major cases such as the US$800m "Kuwaiti Airways" case following the invasion of Kuwait by the Iraqi Government. 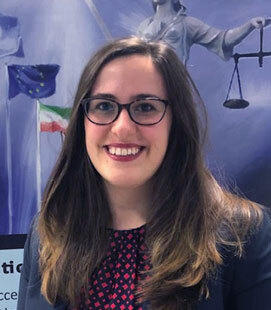 More recently, Maryam has successfully brought actions in the European General Court to annul the applicability of the European sanctions against Iranian nuclear proliferation insofar as they apply to her clients. Her cases and clients represented in the European Courts are in record numbers and none of the successful judgments have been appealed. Maryam holds an LLM degree in Maritime Law from Southampton University and speaks fluent Farsi/Persian and Azerbaijani/Turkish. She also has basic knowledge of Arabic. Advised in relation to the USD800 million "Kuwaiti Airways" case following the invasion of Kuwait by Iraq in 1990. Represented majority interests on behalf of a large number of London underwriters in the "Cita" case, the vessel which sank off the Isles of Scilly in March 1997 giving rise to major claims by cargo interests worldwide. She was responsible for handling claims of over US$2m under 34 bills of lading, with 10 underwriters and in multiple jurisdictions, including Germany, where the limitation fund was set up. Successfully fought an anti-suit injunction concerning the "pay-to-be-paid" principle which involved both Swedish and English jurisdictions. Was responsible for the successful mediation representing the XL Capital insurance, Zurich. The dispute resulted from carriage of DRI when she argued that even a small amount of moisture could cause overheating and explosion. Advised underwriters in relation to the incident following the fire on board the "Hanjin Pennsylvania". Represented the German shipowners, Rickmers, in several shipping claims including one concerning professional indemnity. Was involved in the "MSC Napoli" incident successfully representing QBE Insurer. Represented various parties in a high profile piracy case with complications concerning multiple cargo receivers based in Iran resulting in a successful settlement. Successfully represented the Japan P&I in a complicated matter where proceedings had been commenced in an Iranian court. Represented West of England P&I club in a grounding case in Iranian waters. 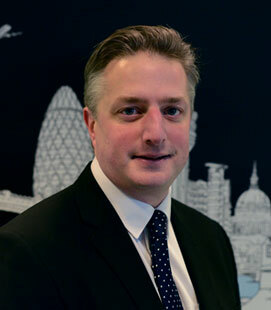 Tim has over 25 years' experience in international trade, insurance and shipping, ranging from rapid advice on a sale contract, policy or fixture wording to daily management of an ongoing casualty. He spent four years in industry amid the chartering and operations benches of an oil major, where he undertook specialist responsibility for the legal aspects of a tanker fleet and enhanced skills in rapid response to operational problems. He was a member of the Emergency Response facility and developed great expertise in sanctions, especially as regards Russia and Iran, and other regulatory matters. His broad experience of carriage of goods and weighty commercial litigation includes claims following armed hijack of cigarettes, contamination of soft commodities and the break-up of an iconic rock band. A confident public speaker, Tim has frequently provided seminars internally and for industry bodies at home and overseas, on maritime law and practice, operational issues, anti-money-laundering, anti-bribery and corruption and sanctions, and he has been a regular contributor to the legal and related industry media. Terry is an independent marine investigator, consultant and a former Master Mariner holding a British Class 1 (Master Mariner) Deck Officer's Certificate of Competency. 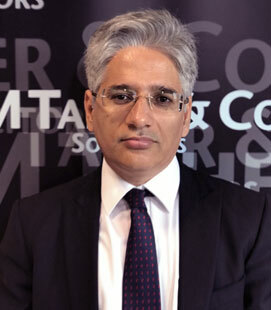 In addition to running his own consultancy, OGG Expert, Terry works as a consultant to M Taher & Co. Terry served 16 years at sea in commercial trading vessels from deck cadet to master before coming ashore in 1990 to join Clyde & Co where he worked for 15 years as case-handler, in-house technical consultant and investigator based in the London, Guildford and Singapore offices. Terry has acted as expert witness in English High Court, PRC Court (Wuhan) and London and Hong Kong arbitration. He has a keen professional interest in safety management and human factors in marine and offshore casualties. 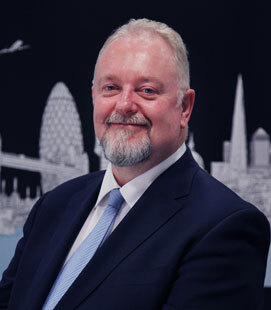 Terry is experienced in handling and investigating cases brought or defended in English High Court; London, Singapore & New York arbitration; the Singapore & Hong Kong Courts and a number of other legal jurisdictions on behalf of Hull & Machinery, Energy, Marine Liability, Cargo and War Risks Underwriters, P & I Insurers, shipowners & managers, salvors, port operators, shipyards, offshore installation operators, loss & average adjusters, logistics companies and claims representatives. 03/1974 - 06/1988 - Periodic study at Fleetwood Nautical College and Liverpool Polytechnic for professional qualifications from Deck Officer Class 3 to Deck Officer Class 1 certificates and ONC in Nautical Studies. 03/2011 Electronic Chart Display & Information Systems (ECDIS) 3 days. 01/2009 Kelvin Hughes Voyage Data Recorder. 10/1998 Auditor/Lead Auditor for ISM/ISO9001. 10/1991 Southampton University Short Law Course. 10/1998 British Class I (Master Mariner) Certificate of Competency. 03/1978 Ordinary National Certificate in Nautical Studies. Collisions, allisions, salvage, towage disputes, navigational errors, groundings & strandings, voyage planning disputes. Ship repair disputes, engine room and deck machinery claims, structural failures, offshore industry casualties, total losses, fires and explosions. Unsafe port & berth claims, off-hire and speed & consumption disputes, lay time disputes. Loss of life and personal injury claims, mega/super-yacht cases, piracy, phantom ship losses. Marine aspects of major offshore casualties, loss of station keeping & DP system issues. The foundering of the "MURREE" in the English Channel in 1989. The "BRITISH TRENT" collision with "WESTERN WINNER" off Wandelaar in 1993. The stranding of the "GOODWILL" on Muirfield Seamount in 1997. The Capesize bulk carrier "CAPE PROVIDENCE" structural failure in the Indian Ocean in 1997. The "MOUNT 1" collision with "ICL VIKRAMAN" in Malacca Strait in 1997. The "NYK ARGUS" container vessel cargo fire in the Mediterranean in 2004. The collision between "KAMAL XXIV", "KAMAL XXVI" and "ARIELA in India in 2004 and subsequent liability and quantum actions in the English Admiralty Court. The loss of the Bombay High North production platform and the support vessel "SAMUDRA SURAKSHA" off Mumbai, India in 2005. The loss of the semi-submersible production platform "A TURTLE" (ex "PETROBRAS XXI") while under tow in the South Atlantic Ocean in 2006. The "MSC ROMA" allision with port container cranes in Korea in 2007. The grounding of the "IRENE E M" off Dahej, India in 2009. The loss of station keeping incident involving the FPSO "GRYPHON A" in the North Sea in 2011. The salvage of the "DOUBLE PROSPERITY" off Mindanao following a stranding in 2011. "IMO's International Safety Management Code" – The International Journal of Shipping Law 1996, 143. "Investigating and Managing Casualties" – Various client venues, 2005 onwards. "Confessions of a Marine Investigator" – International Marine Claims Conference, Dublin 2005. "Masters in Collision" - International Marine Claims Conference, Dublin 2006. "The Human Element in Marine Casualty Investigation – Obstacles & Opportunities" – NASA Mishap Investigation Workshop, Tyson's Corner, Virginia 2006. "Ship Collisions and Marine Insurers" – SwissRe Claims Seminar, London 2007. "The Human Element in Marine Casualties" – The Standard P&I Club, London 2008. "Witness Interviews & Human Responses: Lessons from the Field" – NASA Technical Interchange Meeting, Jet Propulsion Laboratory, California 2009. "The Trouble with Black Boxes" – International Underwriting Association, London 2011. "FPSO Station Keeping" – Energy Claims Conference, Lillehammer 2012. Philip is a qualified insurance professional with over 25 years of experience dealing with all types of marine insurance and other insurance related products. Having represented brokers, Lloyd's syndicates, insurers and commodity traders, Philip has a comprehensive knowledge of worldwide marine business as well as having been a lead practitioner for general average, salvage and piracy claims on behalf of Zurich, a global insurer. His management of major losses, dispute resolution, claims recoveries and risk management of high profile accounts means that he is a recognised leading expert in the marine market. Furthermore, he was the first IUMI cargo representative to be given a seat at the Lloyd's Salvage Group and has also sat on the Joint Cargo Committee. 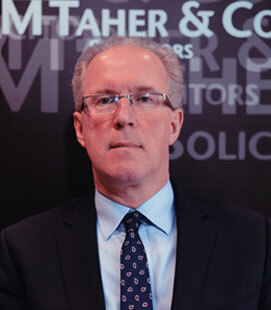 He is currently engaged in the management of large losses, together with mediation of several large disputed claims and recoveries of disputed claims. Having first graduated in law from Tehran University in 1996, Mohsen obtained a Master’s in 1999 and then a PhD with distinction in 2005. As Associate Professor of Private Law, he has given expert evidence on Iranian law in a number of civil and commercial matters in proceedings in London and Vienna. 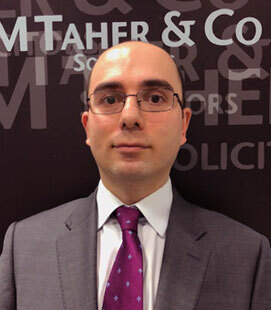 Mohsen has over 17 years’ experience as a high-profile legal adviser, litigator and arbitrator in Iran, acting in cases involving oil companies, underwriters, banks, vessel and cargo interests, shipping and port agencies, tank terminals and offshore structures and collisions, groundings and sinkings. Lecturing widely on maritime and insurance law, he has held a number of related research positions overseas and has written a large number of published articles. Mohsen is a specialist in jurisdictional matters and the enforcement of judgments and awards. He is also the author of textbooks on exclusion clauses and liability insurance, and can advise in Farsi, English and French. Like Mohsen, Soran is an Iranian national with Farsi as his first language. An ACII since 2011 and a Chartered Insurance Professional with the Canadian Insurance Institute, Soran has over 15 years of international experience, working for Lloyd’s brokers and managing agents and handling primary and reinsurance covers for marine, P&I and cargo accounts for high-profile shipping companies. Also dealing with very substantial portfolios in oil and energy insurance, he uses great technical and communication skills to build strong client relationships, alongside authorship of numerous articles in the leading insurance journals and delivery of insurance and management courses at universities in Iran. A FCCA accountant, MJ joined the firm as account manager and compliance officer in September 2018. MJ has over 10 years’ experience as a financial controller and COFA, working in UK law firms specialising in insurance and contentious work. She has considerable experience in dealing with complex high value/volume matters in the property market, and was an academic member of a research team in Tehran, working on various national projects. MJ is fluent in Farsi and has basic knowledge of French and Turkish. Helen is a trainee with M Taher & Co. She graduated from Exeter University with a first-class honours LLB, which had a European focus and included all the core modules of a German law degree. She also holds a first-class honours LLM (Gen.) from the University of Saarland, where her masters' dissertation comparing strict liability in English and German tort law was awarded full marks. Helen has recently completed her Legal Practice Course and a second LLM (Commercial) at BPP Law School, achieving a distinction in both. As a native German speaker she is able to link with German clients in their first language. She also has a working knowledge of Spanish and Italian. We deal with all aspects of International Trade and Shipping - whether you have a small claim or a major dispute, we are always on hand to guide you through. We have the expertise and an international network of lawyers on hand to enforce your English law judgment or arbitration award in foreign jurisdictions. As the worldwide economic turmoil continues, ship arrest is becoming an increasingly popular method of putting pressure on shipowners to settle debt - we are on hand to advise clients, whether seeking to enforce or defend against a ship arrest. Whether you are a Shipowner, Charterer, Cargo Owner, or Insurer – we are able to assist you in the most disastrous events. Our successful track record in the European Court shows that when Sanctions hit the wrong target, you can count on us to stand by you and protect your rights. Insurance fraud can often be complex and difficult to investigate, but with our dedication and attention to detail we will examine every element in order to establish the true facts of a case. With our office in the Lloyds Building at the heart of the London Market and the City of London, we are in the best position to gain valuable insight to the insurance and reinsurance industry. Our energy practice covers a wide range of matters from providing general advice on contracts to representing clients in multi-million dollar disputes. Our expertise in this area spans over 20 years in both contentious and non-contentious matters. We have completed numerous instructions involving inventory (boats and yachts), receivable and trade situations for both banks and financial institutions.